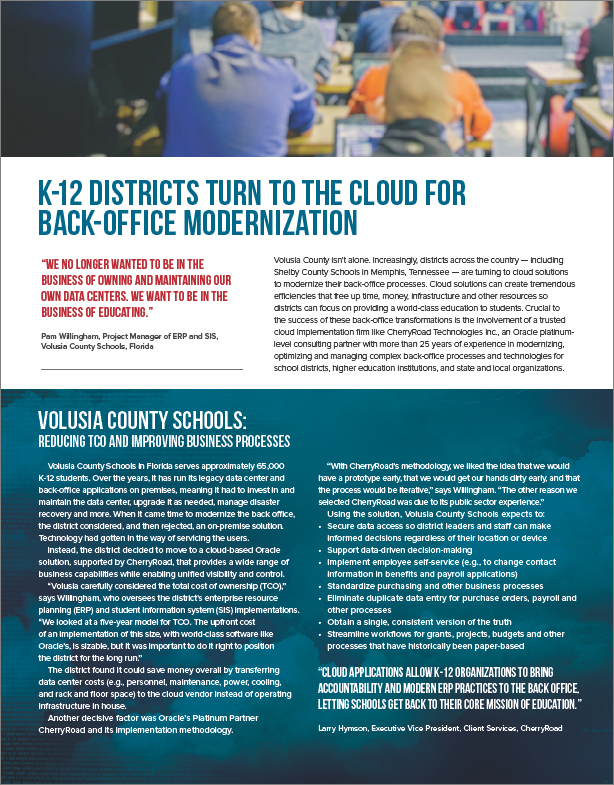 Increasingly, districts across the country — including Shelby County Schools in Memphis, Tennessee, and Volusia County Schools in Florida — are turning to cloud solutions to modernize their back-office processes. Cloud solutions can create tremendous efficiencies that free up time, money, infrastructure and other resources so districts can focus on providing a world-class education to students. Download this paper to learn more.